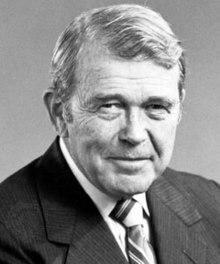 William Redington Hewlett (/ˈhjuːlɪt/ HEW-lit; May 20, 1913 – January 12, 2001) was an American engineer and the co-founder, with David Packard, of the Hewlett-Packard Company (HP). Hewlett was born in Ann Arbor, Michigan, where his father taught at the University of Michigan Medical School. In 1916 the family moved to San Francisco after his father, Albion Walter Hewlett, took a similar position at Stanford Medical School, located at the time in San Francisco. He attended Lowell High School and was accepted at Stanford University as a favor to his late father who had died of a brain tumor in 1925. Hewlett received his Bachelor's degree from Stanford University in 1934, a Master of Science degree in electrical engineering from MIT in 1936, and the degree of Electrical Engineer from Stanford in 1939. He joined the Kappa Sigma fraternity during his time at Stanford. Hewlett attended undergraduate classes taught by Fred Terman at Stanford and became acquainted with David Packard. Packard and he began discussing forming a company in August 1937, and founded Hewlett-Packard Company as a partnership on January 1, 1939. A flip of a coin decided the ordering of their names. Their first big breakthrough came when Disney purchased multiple audio oscillators designed by Hewlett for use in the production of the film Fantasia. The company incorporated in 1947 and tendered an initial public offering in 1957. Bill Hewlett and Dave Packard were proud of their company culture which came to be known as the HP Way. The HP Way is a corporate culture that claimed to be not only centered on making money but also respecting and nurturing its employees. Hewlett was president of the Institute of Radio Engineers in 1954. He was president of HP from 1964 to 1977, and served as CEO from 1968 to 1978, when he was succeeded by John A. Young. He remained chairman of the executive committee until 1983, and then served as vice chairman of the board until 1987. Hewlett served in the Army during World War II as a Signal Corps Officer. He then led the electronics section of the Development Division, a new part of the War Department Special Staff. After the war he was part of a special team that inspected Japanese Industry. Hewlett was a Director for Hexcel Products Incorporated (became Hexcel) from 1956-1965, and worked on their executive committee. Hewlett served as a Director of Chase Manhattan Bank (became JPMorgan Chase) from 1969-1980. Hewlett was also elected to the Board of Directors for Chrysler Corporation in 1966, a position he held until 1983. Starting in the 1960s Hewlett committed much of his time and wealth towards numerous philanthropic causes. In 1966, William Hewlett and his wife Flora founded the William and Flora Hewlett Foundation, which became one of the largest private foundations in the United States. Aside from the foundation Hewlett gave millions of dollars to universities, schools, museums, non-profits organisations and other organizations. Stanford University was a large recipient of his philanthropy. In 1939 he married Flora Lamson, and the couple eventually had 5 children: Eleanor, Walter, James, William and Mary. There are 12 grandchildren. His wife died in 1977. In 1978, Hewlett married Rosemary Kopmeier Bradford. Hewlett was a committed conservationist and avid outdoorsman. As an amateur photographer and botanist he took many photographs and samples of wildflowers. Some of these were donated to the California Academy of Sciences. He died of heart failure in Palo Alto, California, on January 12, 2001, and was interred at Los Gatos Memorial Park, San Jose, California. In 1999, the William R. Hewlett Teaching Center at Stanford was named in his honor. The building is located in the Science and Engineering Quad, adjacent to the David Packard Electrical Engineering Building. ^ a b David Packard (1995). The HP Way. HarperBusiness. ISBN 0-88730-817-1. ^ "HP Garage Timeline". hp.com. Archived from the original on January 20, 2011. Retrieved November 29, 2010. ^ "William R. Hewlett". IEEE Global History Network. IEEE. Retrieved August 10, 2011. ^ Isaacson, Walter (2011). Steve Jobs. New York, NY: Simon & Schuster. pp. xix, 534. ISBN 9781451648539. ^ McMillan, Robert (October 25, 2011). "Steve Jobs: HP Implosion Was an iTragedy". Wired. ^ "William R. Hewlett Teaching Center". Stanford University. Retrieved November 11, 2011. Hewlett Collection at Agilent Technologies Company Archives Office Files, record boxes, speeches and subject files.